Paradigm Slinkys are the most break resistant strings on the planet - GUARANTEED. 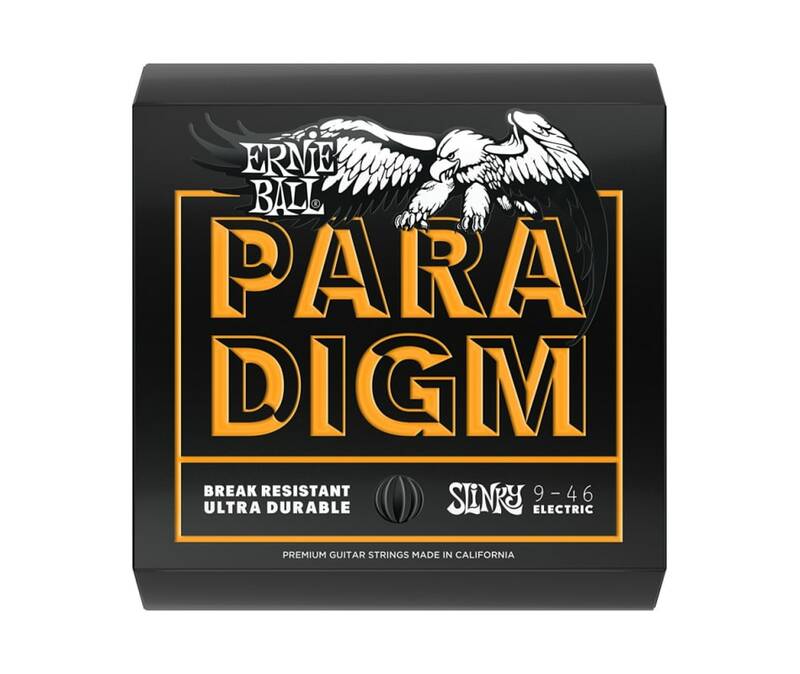 Paradigm Electric Slinky sets provide unprecedented strength and longer string life while retaining 100% Slinky tone and feel. Ernie Ball's industry leading ultra-high strength steel is included in both the wound and plain strings along with a patented reinforcement at the ball end twist of each plain string to provide superior tensile and fatigue strength for strings that lock into tune fast and hold up under the most stressful playing styles and conditions.